Many present-day businesses decide to follow payment facilitator model in order to ensure the high level of service for their sub-merchants. Several categories of businesses can adapt payment facilitator model relatively smoothly and enjoy considerable benefits it offers. While the most typical example of such a business is a software platform provider, franchise companies can also considerably benefit from payfac model adaption. If you are a franchisor, you already have a certain amount of control over your franchisees. If you become a facilitator, your franchisees become your sub-merchants and you and them can mutually benefit from the advantages of this change. First, as a payment facilitator, you consolidate the transaction processing volume of your sub-merchants. As a result, you get an opportunity to negotiate transaction prices with your processor based on this consolidated volume, and, potentially, get better deals. Second, in order to provide better services to their clients, payment facilitators actively participate in merchant account acquisition, underwriting and onboarding process, and, naturally, merchant funding. Consequently, they face serious risks, related to chargeback disputing, consumer and merchant fraud. To mitigate these risks, they need to have effective merchant processing mechanisms in place. But as a franchisor, you, probably, already have background verification procedures for your new franchisees, so if you decide to switch to payfac model, the respective transition step will require much less effort from you. Third, as a payment facilitator, you participate in merchant funding. So, you get better chances of deducting your share of merchant services fees at the time your sub-merchants are funded. Read more about franchise-specific benefits of becoming a payment facilitator in the respective article on Paylosophy. Your business decided to follow payment facilitator model? Discover the franchisor-specific benefits of becoming a payment facilitator. Is it Time to Switch to a New Payment Gateway? 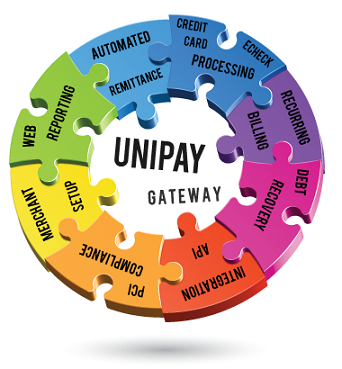 Can UniPay handle payment aggregation and sub-merchant funding? What is the Best Payment Gateway For Payment Facilitators?